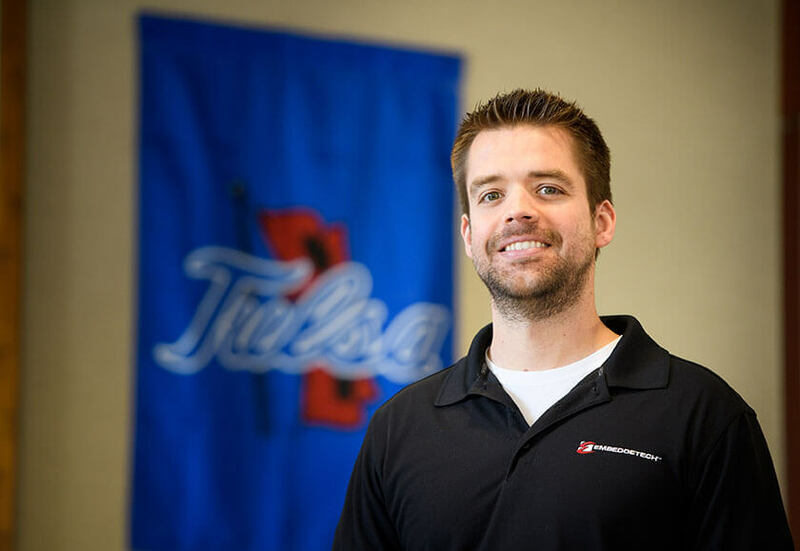 TULSA, Oklahoma — The universe as we know it is a simulation of an electronic program, according to an astonishing theory that has gained tremendous overnight enthusiasm. The theoretical basis for this remarkable view of how the universe operates was discovered accidentally, shortly after the development of an electronic program simulation framework called “Virtuoso” was first announced. “The implications of this theory are stunning,” said a colleague of a friend of someone who probably knows Elon Musk personally. 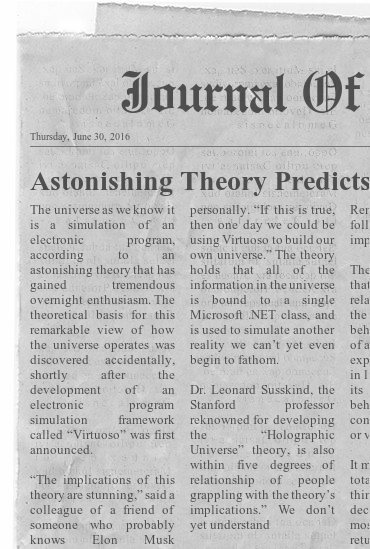 “If this is true, then one day we could be using Virtuoso to build our own universe.” The theory holds that all of the information in the universe is bound to a single Microsoft .NET class, and is used to simulate another reality we can’t yet even begin to fathom. The scientific community has been in an uproar since the theory’s announcement, with reports of physics students abandoning their ongoing research and frantically learning how to use Virtuoso widely unsubstantiated. A Kickstarter campaign has been set up to accelerate the development of Virtuoso so that it is available as soon as possible. The campaign can be viewed using the link below.